Instantly detangles and softens hair. Smoothes and renews worn out locks. Reconditions, repairs and protects hair. Moisturizes strands and soothes the scalp. Soy proteins, panthenol, vitamin E and shea butter repair and protect. Hydrates from head to toe. Wheat-derived conditioners and jojoba seed oil refine skin and hair. 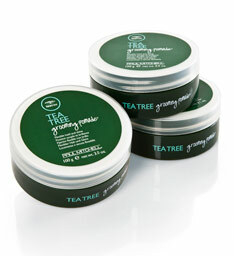 Tea tree oil, peppermint and lavender soothe skin and leave hair smelling great. shape with loads of shine. Refreshing fragrance stirs the senses. Styling ingredients help your style stay put. A burst of cool mint, tea tree and citrus refreshes and revives. Provides definition, control and shine. Great for short hair and piecey layered looks. conditioners define and add shine. Strong, flexible styling power and long-lasting hold. Mesh-like fibers define and separate. Botanical ingredients invigorate and leave hair smelling great.